Snowflakes are the symbol nostalgia. They are often included in Christmas decors not only because they are present during winter, but more importantly because they give out the feeling of comfort and solace. Classic paper snowflakes are not only easy to make; they also fit in all sorts of backgrounds. 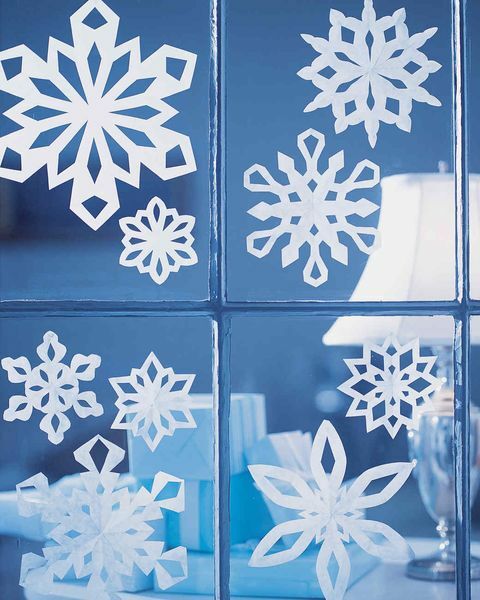 You can place two to three snowflakes of different sizes on holiday cards that you will send to your loved ones and friends, or stick them on the glass windows to create the cozy winter vibe. You can also come up with 3-dimensional snowflakes, which you can add as ornaments for your Christmas tree.